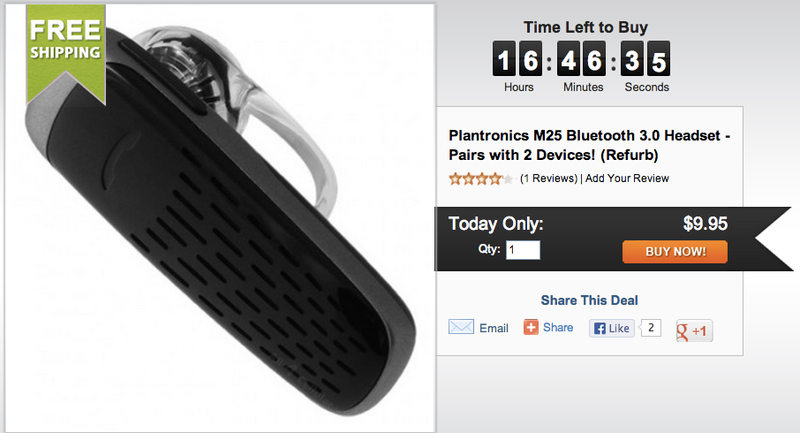 All4Cellular’s Daily Deal is the Plantronics M25 Bluetooth 3.0 Headset (Refurb) for only $10 shipped. This is the lowest we could find it for refurbished and they run about $40 new. The Plantronics features include: DeepSleep Mode that powers down when it’s away from your phone for 90 minutes, and can extend battery readiness to up to five months. Voice alerts let you know when you’re connected, talk time and more. If you’re connecting the M20 to an iPhone, you can monitor your battery life onscreen. Also, the Plantronics M25 Bluetooth Headset can be worn comfortably in either ear. The sale on the M25 headset ends today.